We are recruiting participants for a research study being conducted by the Graphics and Experiential Media Lab at Dalhousie University. We are exploring ways of combining mobile phones with head-worn augmented reality displays. 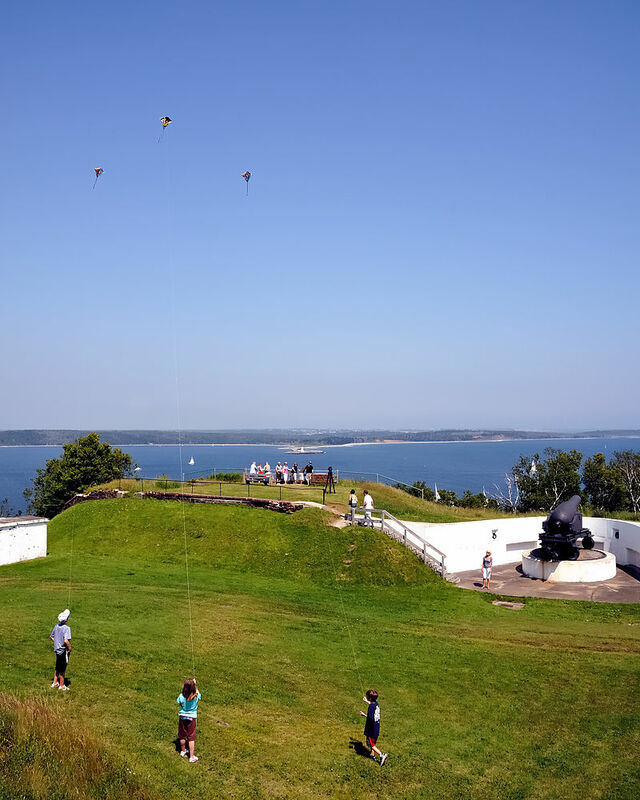 Participants will explore the grounds of the York Redoubt National Historic Site and answer questions about it. While exploring York Redoubt, you will wear a Microsoft HoloLens augmented reality display and carry a mobile phone. The HoloLens display will present virtual information kiosks beside objects and regions of interest. Because of daylight and the visually diverse surroundings, the virtual kiosks may not be crisp. You can use the phone to view detail from the kiosks in order to answer a set of questions about the historic site. Once all questions are answered we will administer a questionnaire and conduct a brief interview. The entire study will last about 80 minutes. You will receive a $15 honorarium for participating. Participants who make their own way to York Redoubt (accessible by city bus) will also receive $5 travel compensation. We are seeking participants who are 18 years of age or older, fluent in English, with normal-to-corrected vision, and who are comfortable using a smartphone. No prior experience with augmented reality is required. Participants should be able to walk with frequent stops for an hour on dirt and gravel path.